Sedums are most popular flowering succulent. They range from groundcovers to large border perennials and are often included in green roof and vertical garden design because of their visual interest and drought tolerance. Sedums changes dramatically with the seasons—in fall, they are rich and earthy while in summer their flowers come in vibrant shades of pink and yellow. The Plant Lover’s Guide to Sedums includes everything you need to know about these beautiful gems. Plant profiles highlight 150 of the best varieties to grow, with information on zones, plant size, soil and light needs, origin, and how they are used in the landscape. 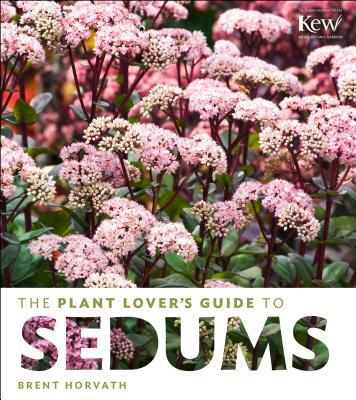 Additional information includes designing with sedums, understanding sedums, growing and propagating, where to buy them, and where to see them in public gardens. Brent Horvath, president and grower at Intrinsic Perennial Gardens, Inc., is a third-generation gardener, second-generation nurseryman, and first-generation American. He has a BS from Oregon State University, and has continued plant selection and hybridizing work in a wide variety of genera. Horvath has developed over 100 new perennials, and holds over 35 plant patents.